Being such a new and passionate smoothie supporter, I was excited when I was contacted by Hamilton Beach and asked to review the latest addition to their range of blenders, the Wave-Action blender. The blender I use regularly is one I bought a few years ago. It is a versatile workhorse, and besides drinks I have been using it to make soups, dips and even mashed potatoes. They all turn out creamy and velvety, just the way we like it. I was curious to see how the Wave-Action blender would fare compared with my old blender, so I happily took on the challenge. 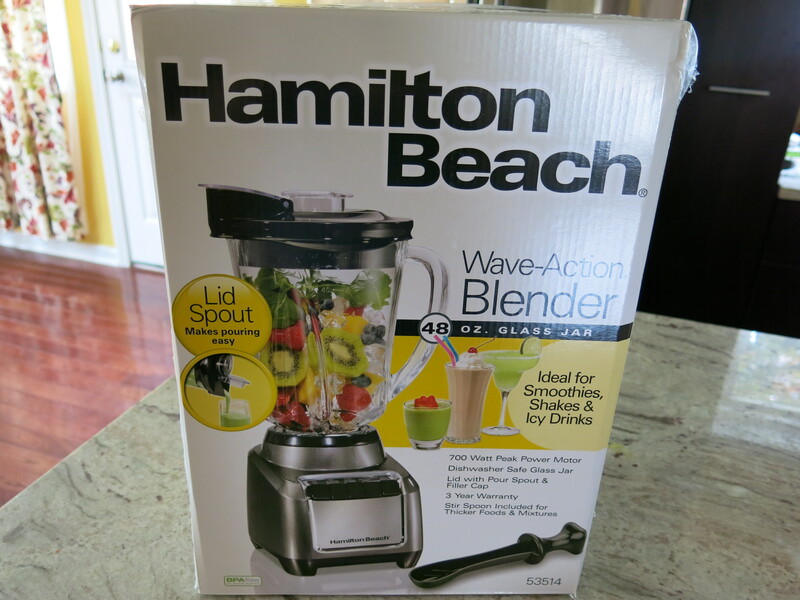 Hamilton Beach sent me a Wave-Action blender free of charge for me to review. All opinions expressed here are my own. The Hamilton Beach Wave-Action blender has a dishwasher-safe 48 oz. glass jar and it can be used to make smoothies, shakes, soups, sauces, or salsa. While other blenders spin contents around the walls of the jar, which can leave some ingredients untouched by the blades, the Wave-Action blender is designed to continually force the ingredients down into the blades for consistently smooth results. The blender is easy to use thanks to the four buttons which clearly indicate the function each is designed to perform. What I also like about this blender is that it comes with an ingenious stir spoon to mix thicker foods, and that it is BPA free in the food zones. I used the Wave-Action blender for the first time to make eggplant salad. This dip-like dish is one of our all-time favorites, and I had made it many, many times before using my other blender. I was anxious to see how the Wave-Action blender would perform, and I was not disappointed: the salad turned out smooth and creamy in a matter of seconds. Impressive indeed! I also used the Wave-Action blender to make several smoothies, including my favorite banana smoothie. A healthy concoction of simplicity and deliciousness, this smoothie is made up of 3 medium bananas, 1 cup milk and a few ice cubes. If necessary, you can make your smoothie sweeter by adding 1-2 tsp honey. My bananas were ripe and there was no need for me to add extra sugar or honey. Once again, the Wave-Action blender surpassed my expectations: the smoothie was ready quickly and its texture was smooth and bubbly. So good! We recently bought a citrus juicer and I had about 2 cups of freshly squeezed orange juice left, so I decided to use it to make an orange & banana smoothie. I added about 1 cup of ice cubes and 2 bananas to thicken the drink, and I used the Pulse option to crush the ice in the blender. The ingredients were blended efficiently and the resulting drink was flavorful and smooth. Hamilton Beach is offering Chicago Loves Panini readers the chance to win one Wave-Action blender similar to the one I tested. To enter the giveaway, leave a comment on this post and answer the following question: Smoothie or milkshake? Which one is your favorite, and why? Giveaway open to US residents only. One entry per person. Deadline for entries is 6PM central time on August 14th, 2015. One winner will be chosen on or around August 15th, 2015 by using a random number generator and will have 72 hours to respond to the winner notification email. I reserve the right to pick an alternative winner if the original winner does not contact me 72 hours after receipt of winner notification email. Oh, for sure a milkshake: Love the richness and thickness and flavor variety. Smoothie, for sure! I don’t care for dairy, so that outs the milkshake for me, but I usually add almond milk to my smoothies because I like the creamy factor. If that makes sense! Smoothie is my favorite, I drink it daily in all varieties, from green smoothie to fruit smoothie. Kids love them too. I love smoothies the most! They are super refreshing, and you can even substitute milk for almond milk, coconut milk and soy milk. I love hiding veggies like kale and spinach in my smoothies, because you cant even taste them. I’m all for a milkshake, and it has to be chocolate. My dad made the best milkshakes, and since then, I’ve always loved them. I like smoothies better. You can add more things to make it healthier and it keeps you full! Smoothies so refreshing in the summer. I like smoothies because they are healthier! I do love a good milkshake every once in a while! I like smoothies better because they are fresh and healthy! I love milkshakes because they are rich and thick and an easy way to get the calcium I need! I prefer protein smoothies because they have the benefits of fruit and whey protein without the fat content of a milkshake. I like both and love to drink them on alternate weeks. Both have their own benefits and awesome tastes. I prefer especially green smoothies for morning detoxification and milkshake to rejuvenate in the evenings.. I love smoothies. I love the way they taste and that I can add whatever I want to them. I like milkshakes more on hot summer days. I love both smoothies and milkshakes. Can we just have a smoothshake? Smoothies are the best because you can use fresh fruit. I can’t believe how many people said smoothie. You would choose fruit over ice cream. Your parents must not have raised you right!!! The only time I want fruit is in pie form!! I usually prefer a good smoothie. I find it to be more refreshing and a milkshake often leaves me wanting something else to drink. A good smoothie on a hot summer day is great! I should say smoothie for health reasons, but I’ve got to go with milkshakes. Milkshakes, for sure. I think they are a lot tastier than smoothies and who doesn’t LOVE ice cream?!? Smoothies are my favorite because I can throw in more healthy ingredients. 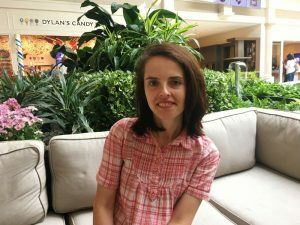 I prefer smoothies because I can use a variety of healthy ingredients, like fruit and yogurt, and can also sneak in veggies for my hubby and kiddo. Of course, they prefer milkshakes! Thanks for the giveaway! smoothies rock because you can always change them up with fresh fruits that are in seasons. Smoothies because I have finally learned to make them just as tasty as a milkshake only healthier! I love the texture of a Milk shake, its creamy thickness and the way it feels in my mouth. You can share with a friend and of course I love ice cream too.. I will take a Smoothie any day of the week. Yum. Definitely smoothies. They are so tasty! Smoothies are my new favorite. As someone who is on a weight loss journey, smoothies have become a part of my (almost) daily life. If you had asked me this question last year, I would have definitely said milkshake….but the new me definitely is all about the smoothies. 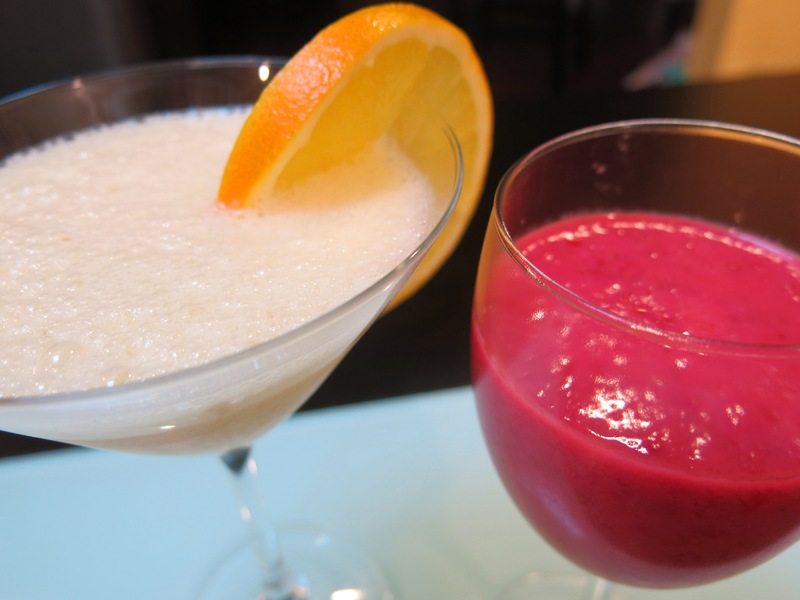 I love smoothies – they are so versatile and provide a healthy way to enjoy a refreshing treat. Smoothies! I love the texture of fresh frozen fruit and endless combinations of deliciousness. Smoothie, healthier and less sweet. I like smoothies because I like using fresh fruit. I prefer smoothies because they’re not as heavy as milkshakes, and you can add any kind of juice or liquid to thin out a smoothie. I love both, but mostly smoothies because they are yummy! I love smoothies because I can make them all fruit or add tasty veggies and make them green smoothies. I love smoothies because they are so fruity and light! I like smoothies the best as it seems to be a better way to get a variety of fruits into kids plus I like the texture. I usually prefer to make smoothies but buy milkshakes…which makes no sense lol I like using fresh fruit in a different way from just eating it! Smoothies are my favorite because you can always switch them up and make all different kinds of tasty combinations!! Milkshakes all the way! Who doesn’t want icecream? Smoothie! Definitely smoothies for their health benefits. I love trying out new smoothies for my family to help add fruits and veggies that they may not normally eat! I like smoothies made with fresh fruits! However I have made some pretty delish milkshakes too! Smoothie, it’s how I start every morning. Smoothies are my favorite! There are SO many different fruit combinations that I never get tired of them! My favorite is smoothies because is more delicious. Definitely smoothie! I really love fruit and I am not a big ice cream person. I like to make healthy smoothies to drink after I workout. Milkshake – Such a nice treat. The whole family enjoys them. Smoothie, they are healthy for you! And good for me since I am a Diabetic! I like smoothies better because they are a great way to fit in nutrition. In any case, I frequently enjoy both! Milkshakes are my favorite because they cool me down after a long day! I love them both strawberry smoothies for breakfast and a chocolate milkshake for a snack! I love smoothies, since they are (usually) less fattening and have delicious fruit in them! smoothie; I love the fruits, veggies, and crushed ice!